Temperatures in West Palm Beach, FL can be scorching when full-on summer hits our community. As a resident, it’s crucial that your air conditioner works properly and efficiently. A quality-working AC system will both keep you cool and save you money on energy bills. When you need a professional and reliable AC company, East Coast Mechanical is here for you. We are proud to be a family owned and operated company and one of the largest in South Florida. When your AC unit breaks down, you want to have an AC repair company nearby that’s reliable and dependable. 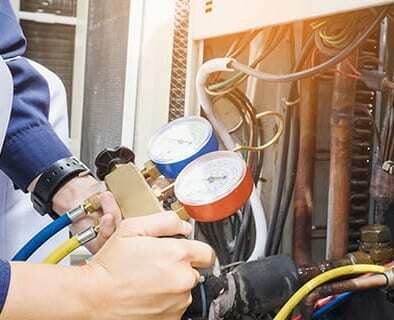 East Coast Mechanical offers an extensive array of AC repair service options and would be happy to come to your home at any time (24/7) to efficiently fix the problems you’re dealing with. No AC problem is too large or too small for our technicians, we just care about making your home cool again ASAP! Sometimes an old broken AC unit is too far gone to be repaired. Fortunately, our expert staff is here to help! East Coast Mechanical can replace or install a new AC system in your home at any time. When we arrive at your home for your AC maintenance appointment, we’ll be on time and ready to work. We’ll then deliver our full 21-Point Comprehensive AC Tune-Up to ensure that your system stays in its best working order. Any problems we locate will be efficiently taken care of to avoid future breakages and keep your energy bills at their minimum. East Coast Mechanical prides itself on ensuring that you are fully satisfied with the work we do. Our AC company is built on dedication, loyalty, respect, and a business ethic that can’t be beat. Ready to Book Your Service Call With Us? Give Us a Call Now!